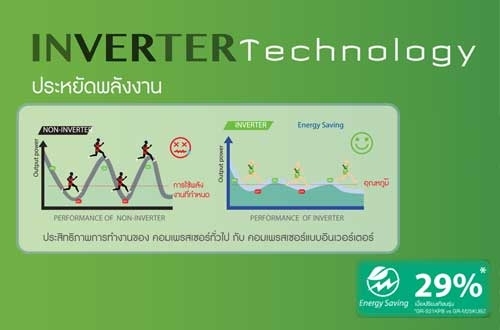 Inverter Technology. 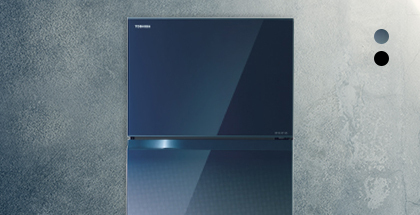 Energy Saving: Toshiba Inverter System. 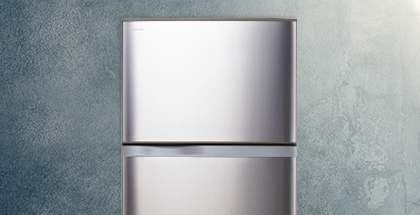 Compressor in conventional non-inverter refrigerator runs on an “On-Off” operation, it does not vary in output power. For inverter compressor, power output varies according to different usage pattern (day/night or capacity loaded) in this way you can maximize efficiency and save energy. Temperature is also more constant as there is smaller fluctuation. 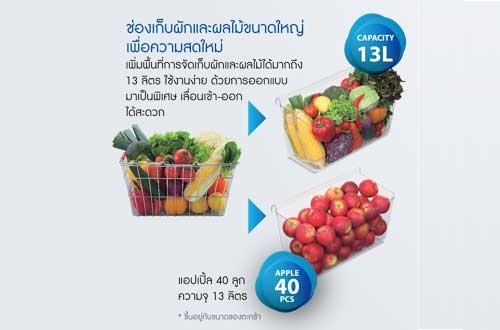 Big Room for Freshness: with the capacity of 15litres, there’s ample space for fruits and vegetables. Easy access with special-designed. 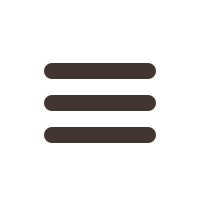 Adjustable Door Pocket: By changing the position of the door pockets, it can flexibly store big and small items according to your needs. 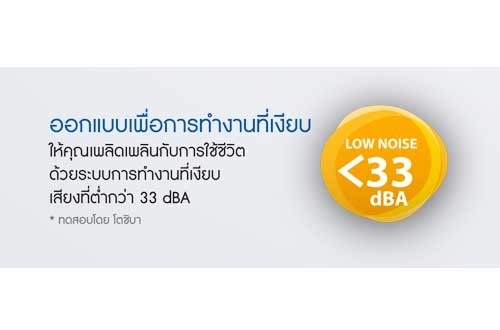 Low Noise Design: Enjoy the pleasant life with the quite operation. 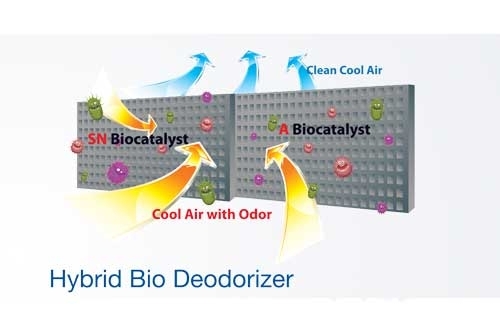 Hybrid Bio Deodorizer: The new HYBRID BIO keeps the air in the refrigerator clean by effectively absorbing unpleasant odour and eliminating bacteria. When cool air passes through the 2 Biocatalysts in the HYBRID BIO, odour molecules are captured and disintegrated. Helps to restrain bacteria-growth thus keeping food fresh for a long period of time. 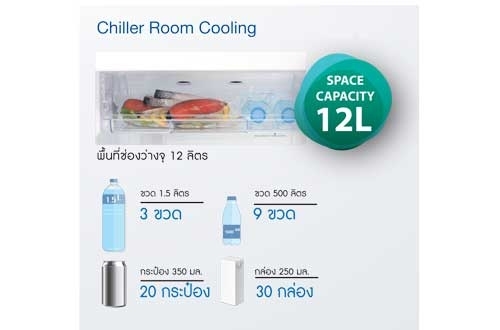 Chiller Room Cooling: Excellent chilling to keep meat/fish fresh under low temperature including Hybrid BIO Deodorizer system which deodorized strong odours. Also store many bottles and cans. 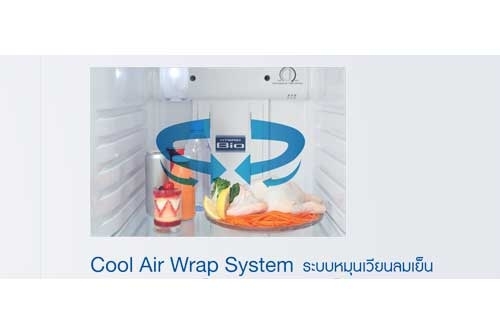 Cool Air Wrap System: A new feature that deodorizes and calculates air the rear of the fridge ( it’s cooler and fresher) to every area in the fridge. The result is a fresher and more pleasant-smelling fridge. In addition, the minus ion is also spread more evenly throughout. 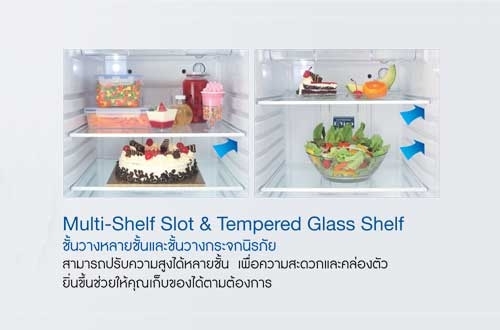 Multi-Shelf Slot & Tempered Glass Shelf: More height-adjustable options for greater flexibility and effective use of shelves space and helps keeping your items in order. 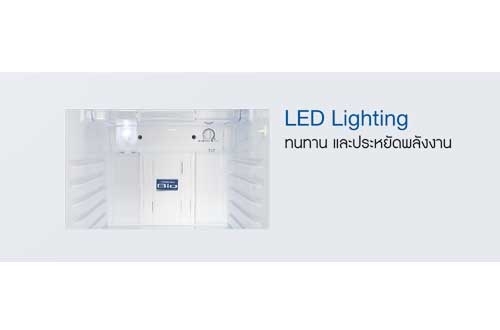 LED Lighting: Durable and Energy Saving (0.07W). With the capacity of 15litres, there’s ample space for fruits and vegetables. Easy access with special-designed. By changing the position of the door pockets, it can flexibly store big and small items according to your needs. 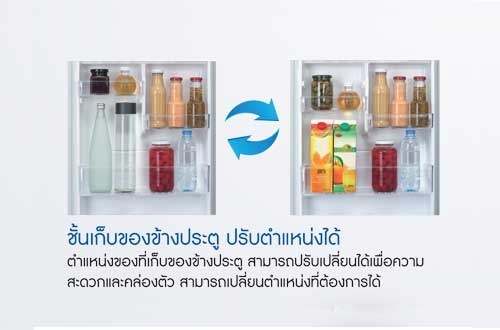 Compressor in conventional non-inverter refrigerator runs on an “On-Off” operation, it does not vary output power. For inverter compressor, power output varies according to different usage pattern (day/night or capacity loaded) in this way you can maximize efficiency and save energy. Temperature is also more constant as there is smaller fluctuation. 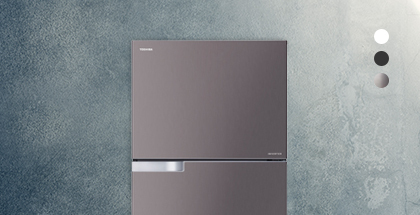 The new HYBRID BIO keeps the air in the refrigerator clean by effectively absorbing unpleasant odour and eliminating bacteria. When cool air passes through the 2 Biocatalysts in the HYBRID BIO, odour molecules are captured and disintegrated. Helps to restrain bacteria-growth thus keeping food fresh for a long period of time. Excellent chilling to keep meat/fish fresh under low temperature including Hybrid BIO Deodorizer system which deodorized strong odours. Also store many bottles and cans. A new feature that deodorizes and calculates air the rear of the fridge ( it’s cooler and fresher) to every area in the fridge. The result is a fresher and more pleasant-smelling fridge. In addition, the minus ion is also spread more evenly throughout. More height-adjustable options for greater flexibility and effective use of shelves space and helps keeping your items in order. Durable and Energy Saving (0.07W).